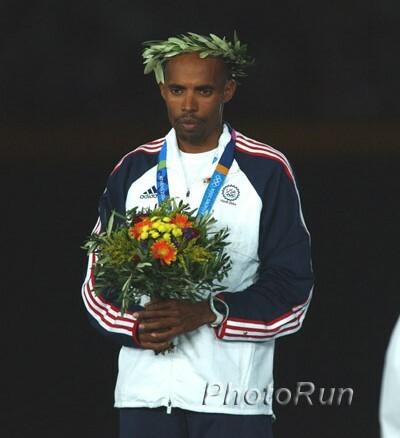 In 2007 James won the Dallas Marathon, and placed 4th in the Boston Marathon. In 2008 he was 4th in the BAA Half Marathon and was running first again in Dallas through 24 miles, when he was knocked over at a water station, and eventually finished fifth. He is a favorite to win this year’s Masters Championship in Boston, but he says he might have bigger surprises in store. Take The Magic Step sat down with James three days before his Boston Marathon race to get his thoughts on extreme training at forty, and his expectations for the coming years. You are running so strongly at age 40. Are you training differently than 10 years ago? James Koskei: I am not training differently, but my recovery is much better now—which makes me so happy. 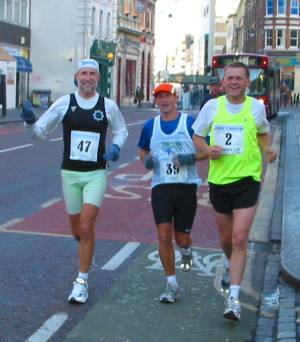 When I first started marathon training in 2004, I had hamstring problems. So when I trained very hard, the next day I would be wiped out. Now I can train just as hard—but my recovery time is quicker. The day after a long hard run, I now feel OK and that makes training just so much more enjoyable. My whole body feels healthy for the first time in years. As I sit here talking to you, I just want to run! That is how good I feel! My body is doing so well. I know that I am 40 now, but for the first time I really feel that I can run with my full potential I am keeping up with my younger training partners. How did you solve your hamstring problems? James: Massages. I have to keep my hamstrings flexible, and massage lets that happen. Now my hamstrings are not so tight. It makes an amazing difference for me. I have a regimen of massages to keep me loose. Two full days before a hard long run or a big race I absolutely make sure I have a massage. I have found that works best for my body. I wish I had learned this earlier in my career. What is your biggest challenge in training? James: The long runs. I am training with Tim (32 year-old Timothy Cherigat, 2004 Boston Marathon winner) and Baba (35 year-old Stephen Kiogora, 3rd in Boston in 2007 and 2nd in New York in 2006)) so they help me out. Those guys are strong. From my previous shorter distance running career I was used to running 5k and 10k training runs, not the 30K and 40K runs. Tim and Stephen help me in the long runs—they motivate me by teasing me. If I am stride for stride with them, they will turn and say, “You are really strong—no way you’re 40! You are young.” And then they will try to pull away. That also makes you train harder. Your coach says that you have dedicated yourself to training with great focus. What motivates you to train so hard? James: I am making up for lost time. I should have started running marathons before 2004. 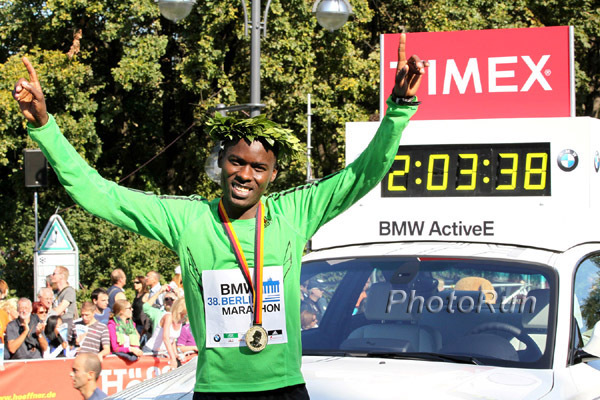 When I was a boy in Kenya I dreamed of winning the Boston Marathon. But then I started running shorter races. In 2003 I was running very strong times and I think I should have moved up to the marathon then. Then I had my injuries. So now I am recapturing those years through hard training. You are favored to win the Masters division. Does that excite and energize you? James: I do not feel 40; I do not feel like a master. When I run the Marathon on Monday, I will be running mentally and physically as an elite, and I will be running to win. When I look in the mirror, I do not see 40, I see elite. Do you have a schedule for the two days immediately before Marathon Day? James: Yes, I am careful with my runs and nutrition. I do easy runs. For example this weekend, I will do an easy run on Saturday and on Sunday. These runs will be relaxed, easy and no more than 40 minutes. I run along the Charles River. I love Boston and the people waving to me. Such wonderful nice people everywhere here. It is just what I dreamed of when I was a boy in Kenya. For food I eat mostly pasta, chicken, and rice, and I drink lots of water. I also make sure I am well rested. The night before a race I always sleep ten hours. You’ve run Boston before so you know the course. How do you think this will help you? James: Yes! I love this course—it is so challenging, especially with Heartbreak Hill. I remember in 2007 when I finished fourth, and all the people were cheering and yelling out my name and encouraging me. This helped me stay so strong through the end of the race after Heartbreak Hill. I now know that I can go out a little stronger during the race, because the fans will energize me through the finish. Knowing the course helps, but it is the Boston people that are the real secret. To train at your level, you have had to leave your family for extended periods of time. Do you find this difficult? James: Yes, I have to leave Kenya to train at the very top level. At home, I train, then I get calls from friends, then my wife and I and our four children might go out as a family. I love all that and I miss it—but for me to be the best I can be, I have to focus on one thing: training. So I go to Boulder for at least one full month and totally focus on training. Coach Dieter (Dieter Hogen, Coach of KIMbia Athletics) is very strict, and he motivates me. But yesterday, I was talking on the phone to my other coaches—my children. They are all yelling, “We want you to run the best you ever have ever, Papa!” That motivates me. James: Not for many years. When I retire I will miss Boston so much. I will miss the people and how well I was treated. My dream was always to run here—and I will miss living that dream surrounded by all these wonderful people. After James won the Masters division in Boston, Take The Magic Step® spoke with him about the race and his future. Wow! I am happy I won the Masters. The race started with some fast miles (4:38 for mile one) and by the halfway mark a strong group was still at a course record pace of 63:39 pace. I had no problems at that point and was mentally strong. But it was cold and we were dealing with a headwind. Around the 25K mark, on a downhill stretch, I felt something in my hamstring. To make sure I could finish the race and win the Masters division, I slowed down a bit and tried to maintain a good rhythm. At the end I was happy with my 11th place overall and with winning the Masters race—and, of course, the $10,000 bonus that came with it! There is always need for money with my family, school fees for my kids, maybe a doctor once in a while, food. I also want to sustain and improve my businesses—I have a shop in town and I have my farm. The money that comes in from running is not my only source of income but it has helped me a lot over the years. In fact it gave me the opportunity to create my businesses in the first place. It was especially nice to be able to use some of the bonus money to buy some presents for the whole family! I will take it easy now for the next four to six weeks, join my family in Kenya and enjoy some quality time with my wife and four children. Then I will start preparations for the fall marathons. I still feel young, energetic, and I don’t see any reason to retire at this point—let’s see what the future brings. I have a lot of fun during the training, and when I go to the races. 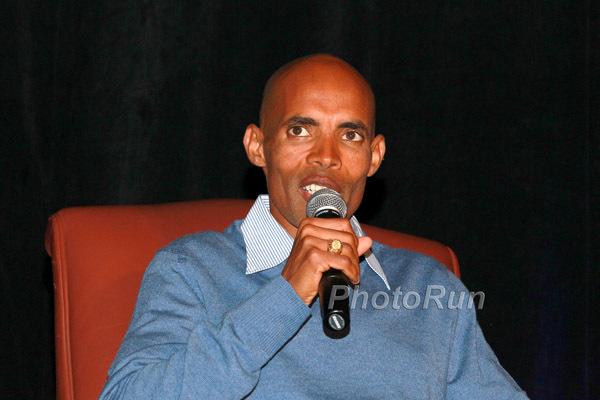 My coach will come to Kenya in July, and we will all meet in Iten, a town right at the Rift Valley. We will set new goals—and GO FOR IT!